Bastian is a shy twelve-year-old boy who is bullied each day on his way to school. His home life is sad, too; Bastian recently lost his mother, and in the wake of her death he is daydreaming in class and not participating in extracurricular events. His dad encourages him to move on, saying that although he understands Bastian’s sadness, his mother’s death cannot be an excuse for not getting things done. He encourages Bastian to face the present day rather than immersing himself into his daydreams. One day, Bastian runs into a bookstore to hide from his bullies. There, he discovers a mysterious book, which the shopkeeper warns him is dangerous. 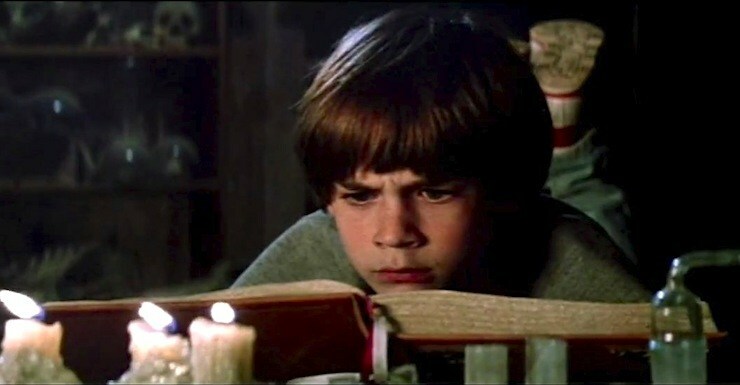 Bastian takes the book and hides in the school attic to read it. In it, Bastian reads the story of Fantasia, a mystical land that is being consumed by a cynical nothingness. 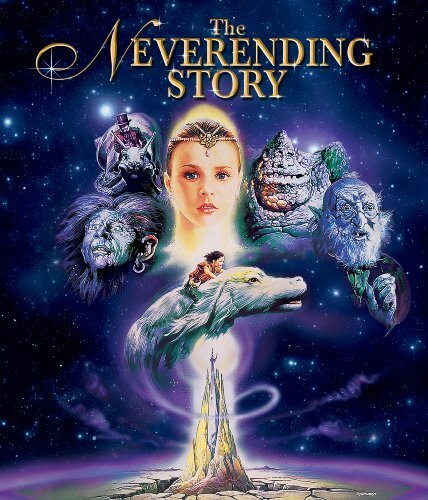 We follow along with the young warrior Atreyu as he goes on a quest to find a way to save the young Childlike Empress, so that she can in turn save Fantasia. As Atreyu’s quest goes on, Bastian finds the story to be more than relevant to his own life; it speaks directly to him. Bastian has lost his mother. He has not processed this loss, but it seems to be affecting him, as he is not engaging with school or extracurricular activities, and often having dreams about his mother. His father means well, but unhelpfully urges him to put the past away. In reading the mysterious book, Bastian is able to confront his sadness about his mother’s loss; he is encouraged to not give into despair, and he is able to find healing for himself and for Fantasia. Although Bastian’s mom was lost to death, kids in foster care or kids who have been adopted might connect with his sense of loss. It could be helpful for parents to note that the adults in Bastian’s life – his dad and his teachers – noticed his behaviors: he’s withdrawn and distracted, but they don’t seem to have understood those behaviors as signs of unprocessed grief. Most behaviors make some sense within the context of the person doing the behaviors, and sometimes addressing the context will be more effective than focusing solely on the behaviors. Bastian finds healing and bravery in his own imagination, guided by the story contained in the book he finds. Adoption at the Movies is based on the belief that stories can be very helpful for processing heavy real-life themes, and The NeverEnding Story captures that perfectly. 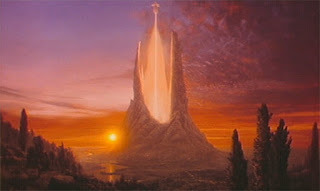 The NeverEnding Story has created a fanciful, memorable and beautiful world. The film underscores the importance of self-esteem, self-confidence, and not letting sadness turn into despair. Atreyu finds helpful, safe friends along his journey. Bastian’s dad means well but misses the fact that his son is grieving. Although the film does show the value of self-esteem and the importance of avoiding despair, it is a bit heavy-handed. A man is killed by a Sphinx for not feeling true self-worth, and a beloved character dies when they sink into a sea of sadness. Some young kids and other sensitive viewers might be troubled by the threat of losing a whole world. The responsibility of saving the world appears to fall solely on one young boy, which could be a trigger for kids in foster care who blame themselves for being in the foster care system. Multiple characters lament their own failures with deep sorrow, and we see that this only hurts them. 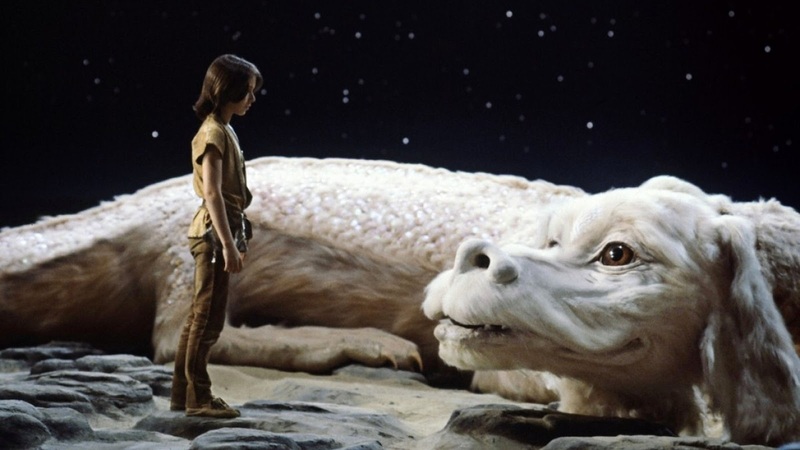 A terrifying wolf-like creature has been sent to pursue and kill Atreyu. 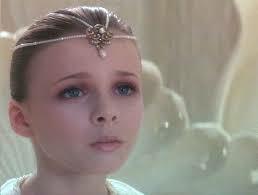 The NeverEnding Story is a special movie, and it was neat to see it on the big screen again. It seems likely to be scary for kids much younger than 7, but could be a special opportunity for you to share a film from your childhood with your kids ages 7-12 or so. The NeverEnding Story can lead to discussions about the fact that people need to process their sadness in order to move on, as well as lighter discussions about movies and stories that have been helpful to you – and even fanciful thoughts about the film’s magical creatures. Best for kids ages 8-12 and their parents. What stories have been helpful or very meaningful to you? What stories have you read that reflect your own life in some way? Which stories are your favorites to escape into? What do you think Bastian needed to do in order to find happiness again? What do you think of the advice his dad tried to give him? Can you just get on with life after something very sad happens, or do you have to process it in one way or another? When you’re sad, what helps you not sink all the way in? What was your favorite fanciful character? If you had a luck dragon, what would you do with it?